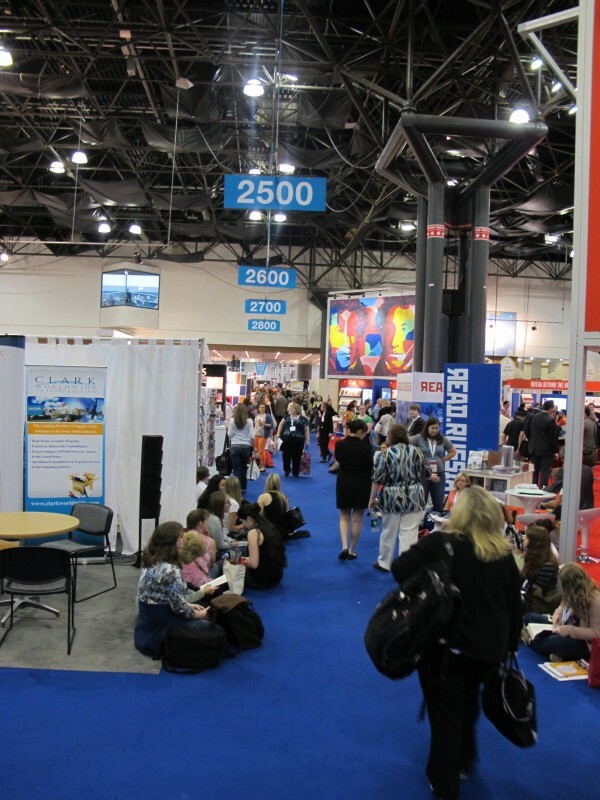 My recap of BEA 2012 in pictures!!!! 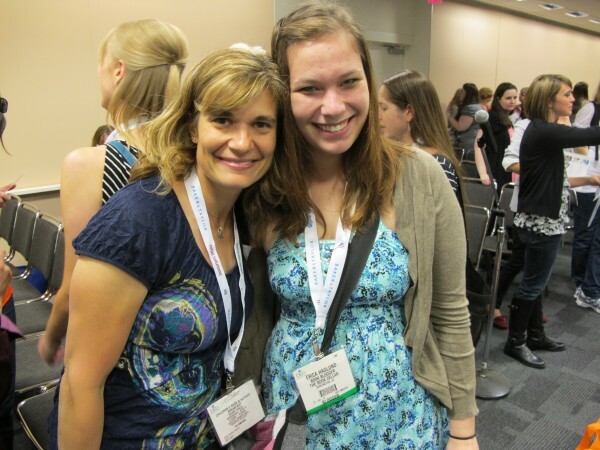 My awesome roommate, book blogger at THE YA CONNECTION and aspiring author…Lisa Lueddecke. 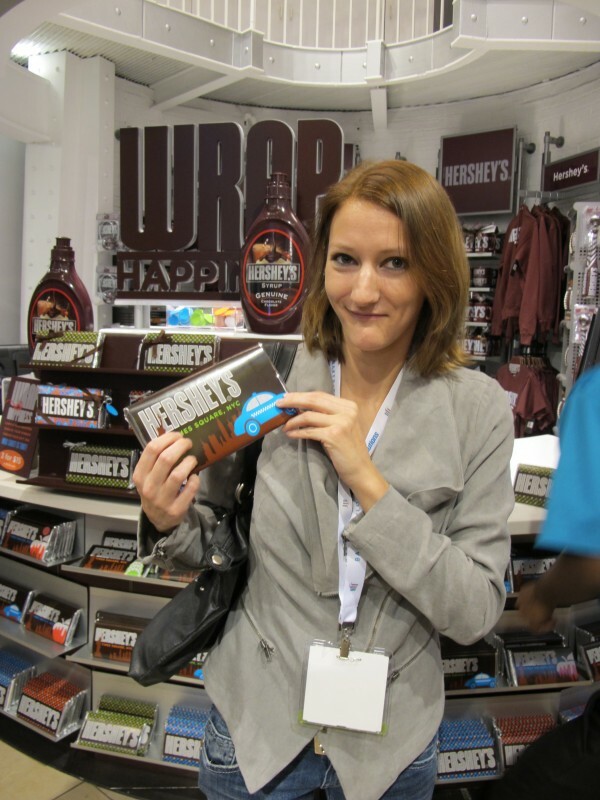 Ummm so we just happened to go right by the Hershey’s store. And they had free samples. 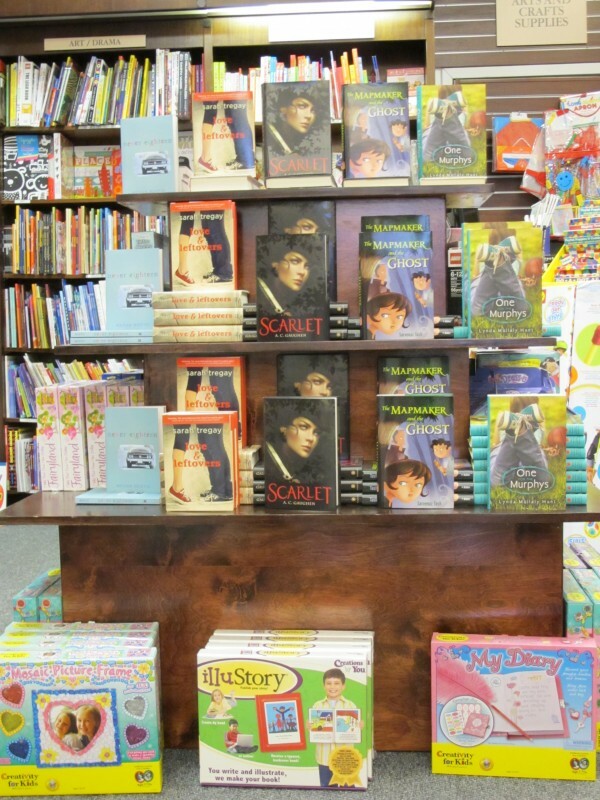 The Class of 2k12 Books at the Bank Street Bookstore where we talked about breaking into the business of children’s and young adult fiction. We got our swag on! 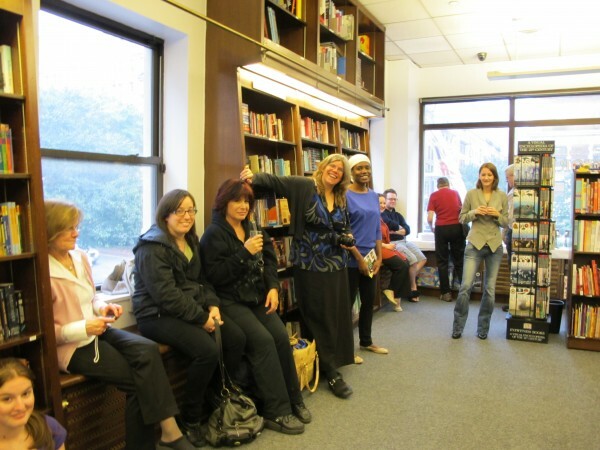 Bank Street Bookstore provided yummy snacks and beverages. 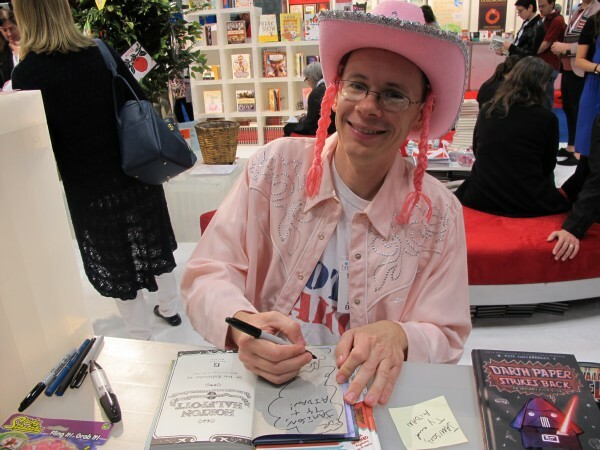 Someone asked me why I had such a little book…of course my answer was that I write for little people LOL! We had so much fun with this bunch!!! 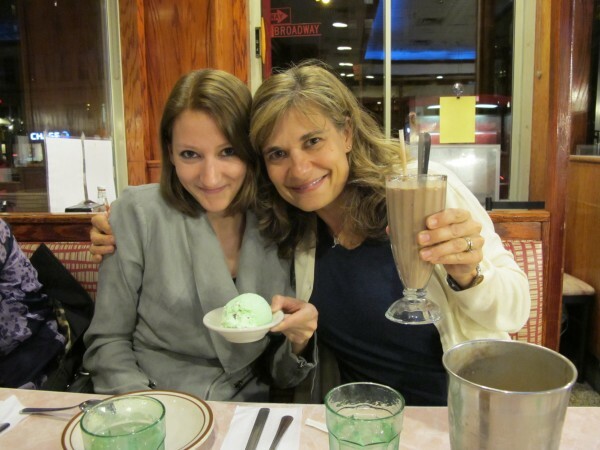 Of course a little ice cream from the “Seinfeld Dinner” never is a bad ending to a great day. 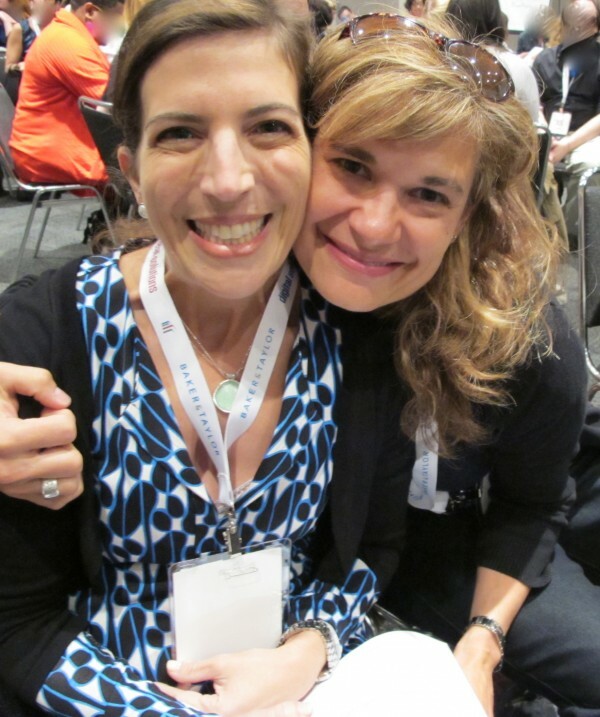 Lisa and Kim. 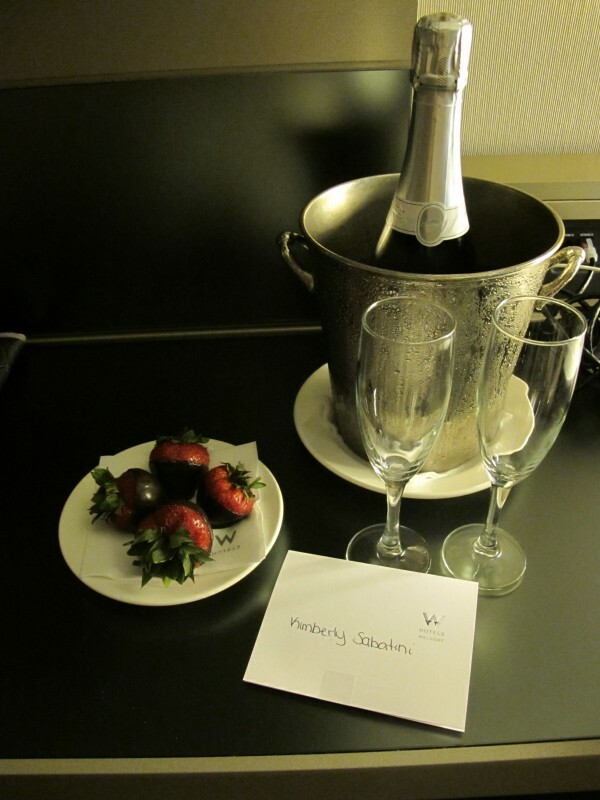 Look what was waiting in our room from the W Hotel!!! 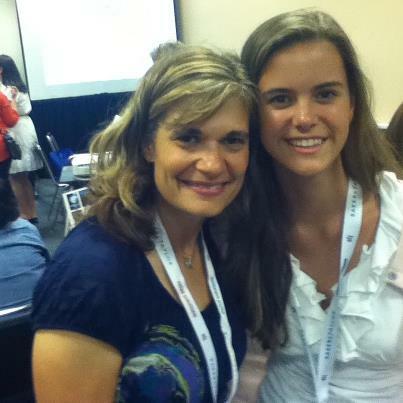 I felt so special…((((hugs)))) to A.C. Gaughen. 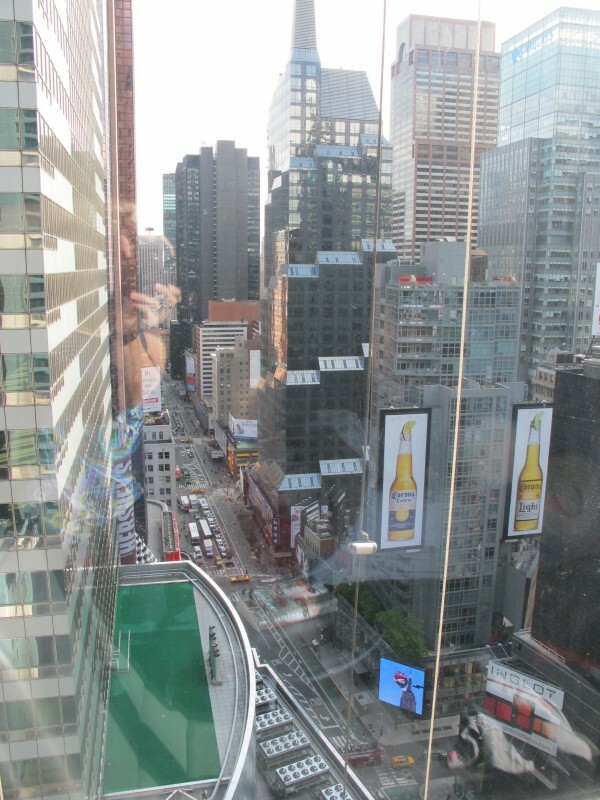 Tuesday morning…the view from our room. 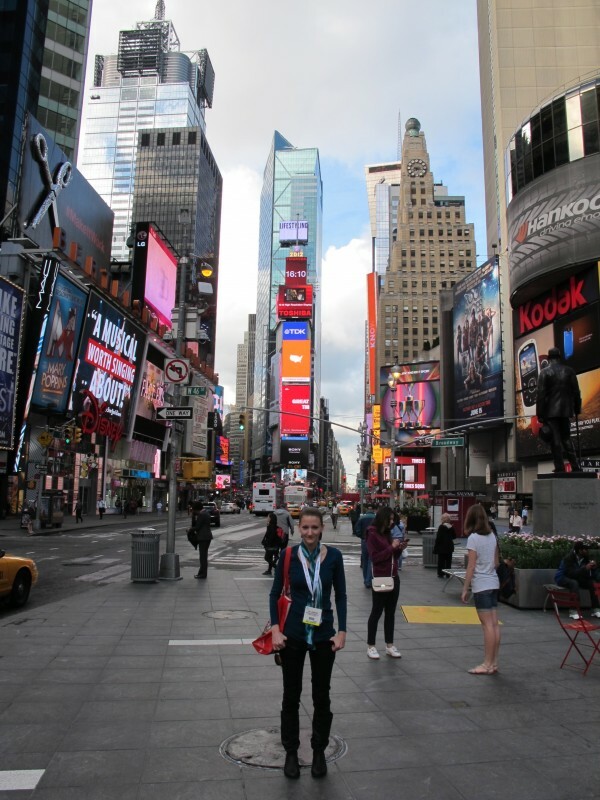 Lisa needs an official Times Square picture!!!! 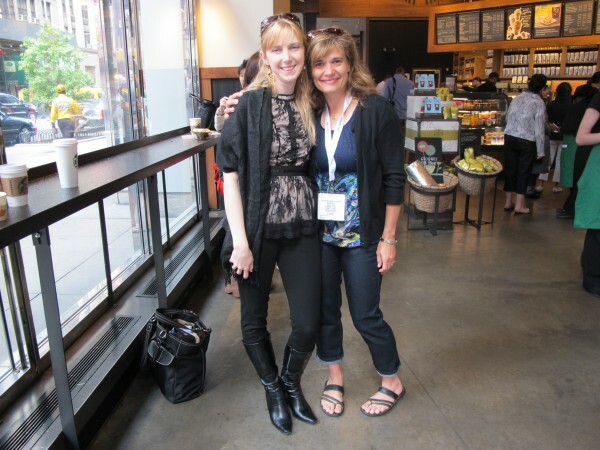 Meeting Suzanne Lazear (Innocent Darkness) for a quick breakfast. 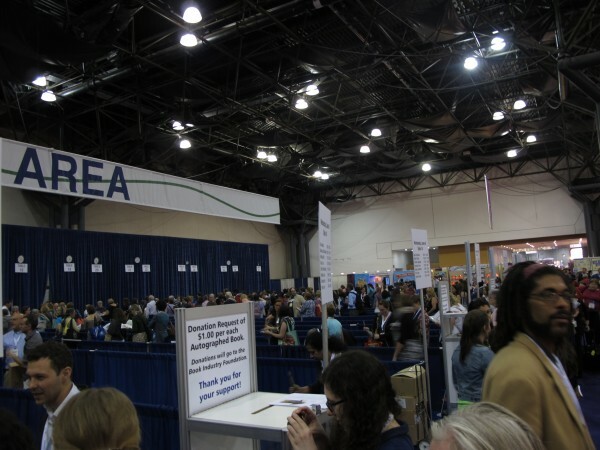 The registration area of BEA. 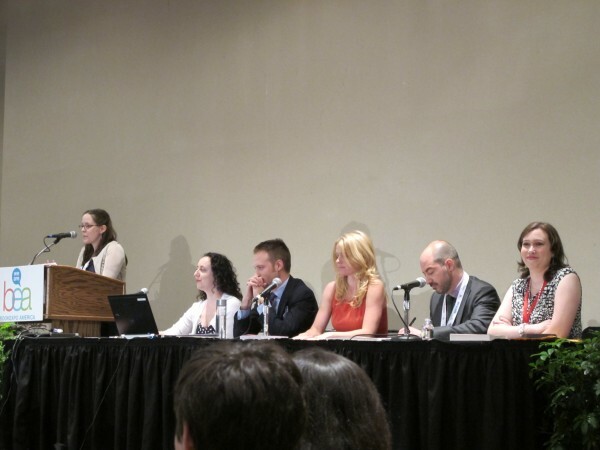 The Editors for the YA Editors Buzz Panel. Everything sounded fantastic. 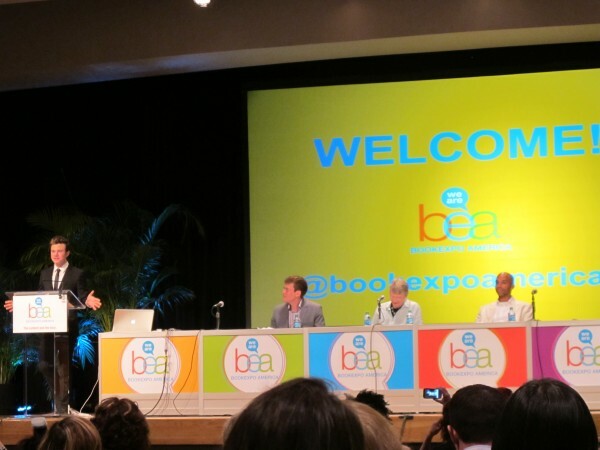 You can read all about it at Publisher’s Weekly-BEA 2012: Diversity Rules at YA Editor’s Buzz Panel. 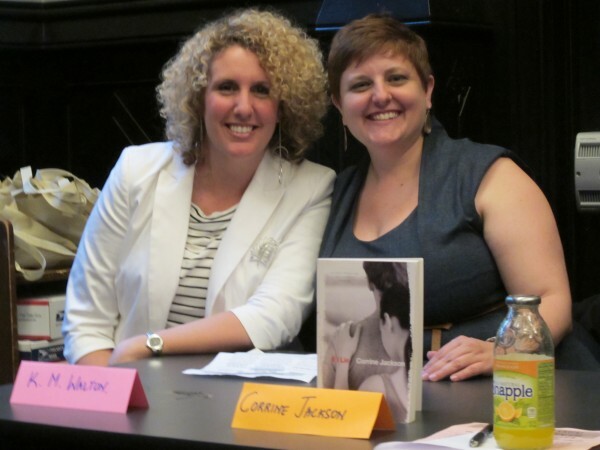 But I want to give a special shout out to my fellow Apocalypsies: Gennifer Albin, author of Crewel and Kat Zhang, author of What’s Left of Me!!!! 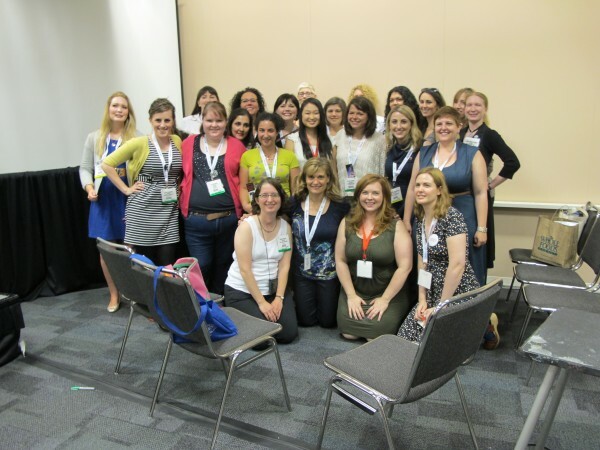 Can you spot all the fabulous Sourcebook authors I found? SEND by Patty Blout, My YAOTL buddy Geoff Herback with STUPID FAST and NOTHING SPECIAL, and some of the Apocalypsies like…Miranda Kenneally with CATCHING JORDAN and STEALING PARKER, Zoraida Cordova with THE VICIOUS DEEP and Leanna Renee Hieber with DARKER STILL and THE TWISTED TRAGEDY OF MISS NATALIE STEWART. Plus a ton of other great reads!!! Time to meet more of the Apocalypsies!!!!! We had an amazing Meet & Greet. 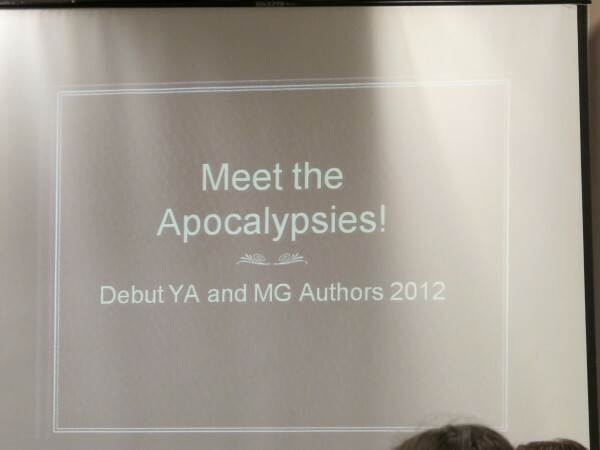 Everyone was given a dance card to get signed by all the Apocalypsie authors in attendance. Here’s what they looked like. 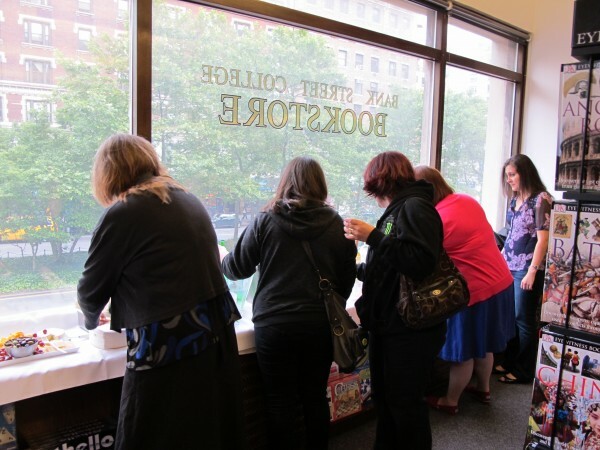 Each card was numbered and prize packages of books, ARCs and swag were auctioned off through out the afternoon. 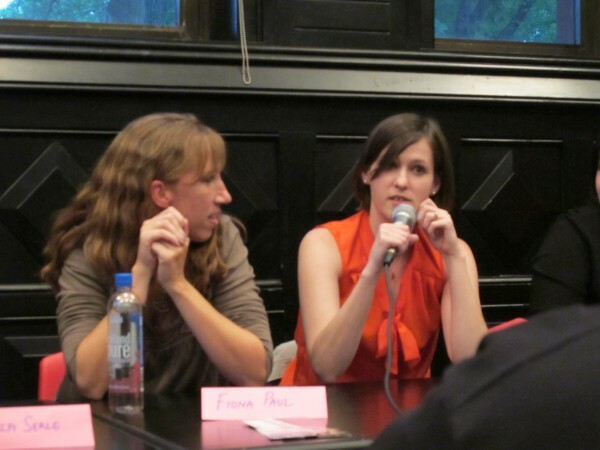 So excited–I got to meet Erica Haglund of The Book Cellar and Julie Cross’ Perfect Ten. 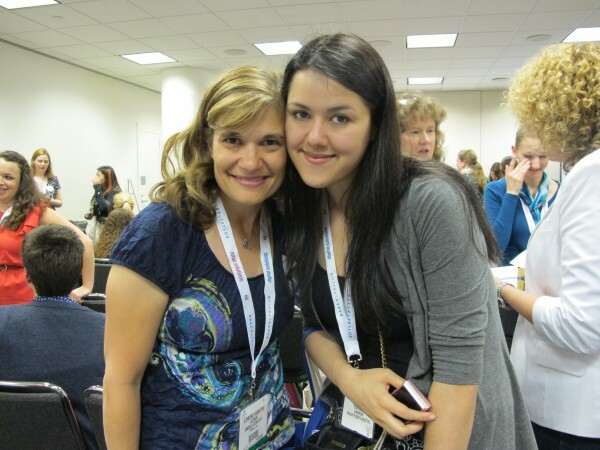 I also got a chance to meet Natalia from Dazzling Reads. Love her! It’s a small world! 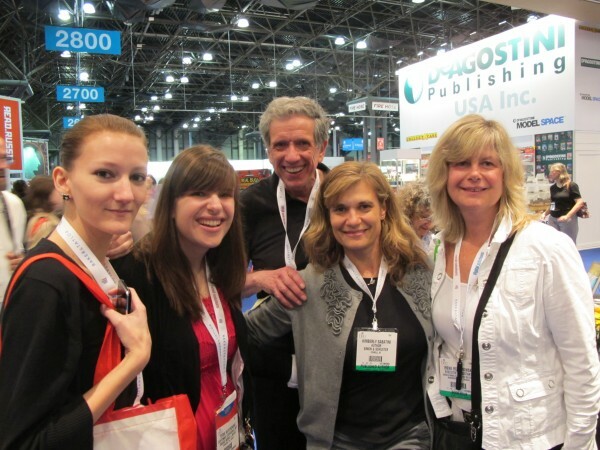 Barbra Kane (High School Librarian and Media Specialist in Jamestown, NY) and I graduated from the same college. Go Geneseo!!! 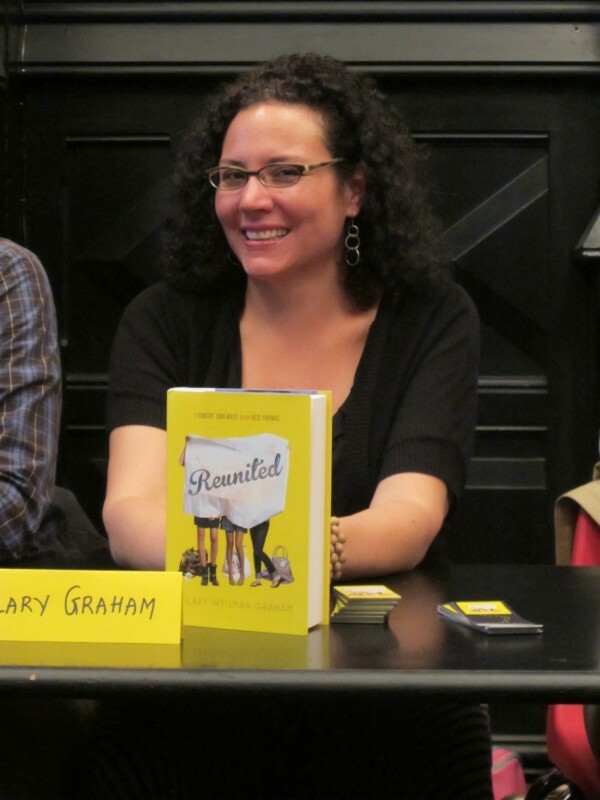 And don’t forget my buddy Grace from Words Like Silver. We saw each other everywhere…she may be tired of me LOL! And here all the Apocalypsies who participated!!!! 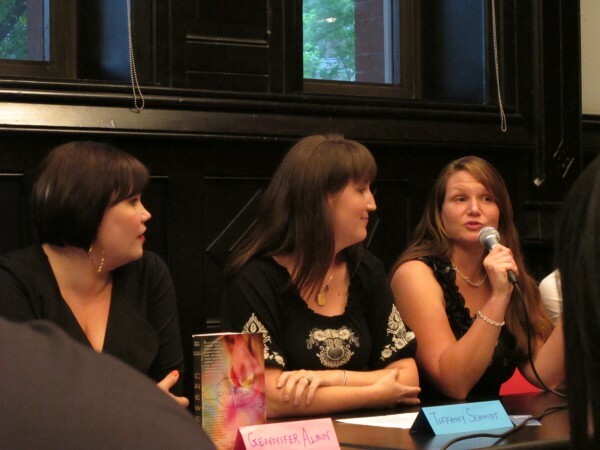 Gennifer Albin (REWEL), Tiffany Schmidt (SEND ME A SIGN) and Katie McGarry (PUSHING THE LIMITS) There was a ton of other great authors here but I have yet to learn how to clone myself…the dystopian writers are working on that for me though. Of course we were REALLY hungry after all that book talk so K.M. 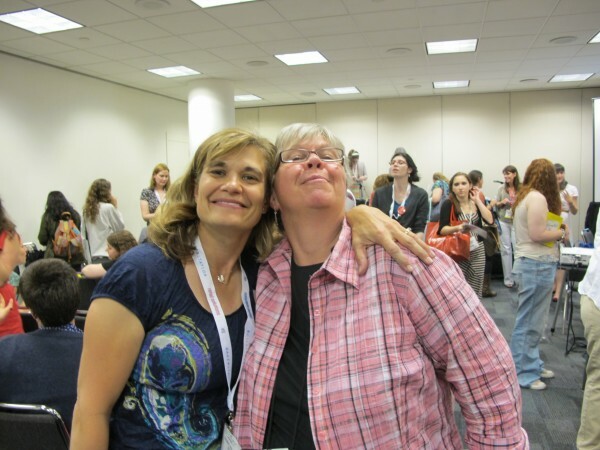 Walton, Lynda Mullaly Hunt, Me and Corrine Jackson got some yummy stuff. Are you getting tired yet? 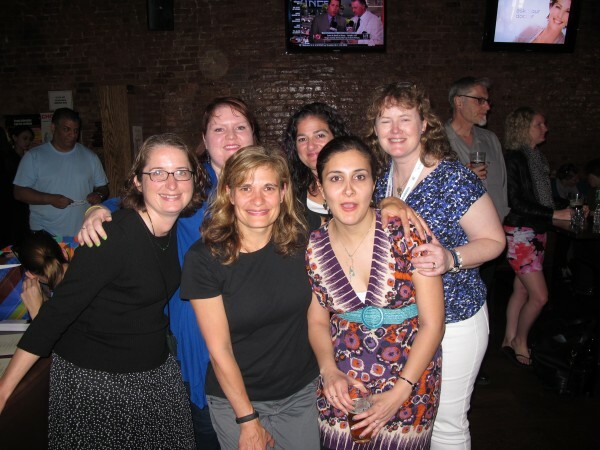 You should have seen me by the time I crawled into bed that night, but no rest for the weary because I was off on Wednesday morning to the YA Author’s Breakfast!!!! 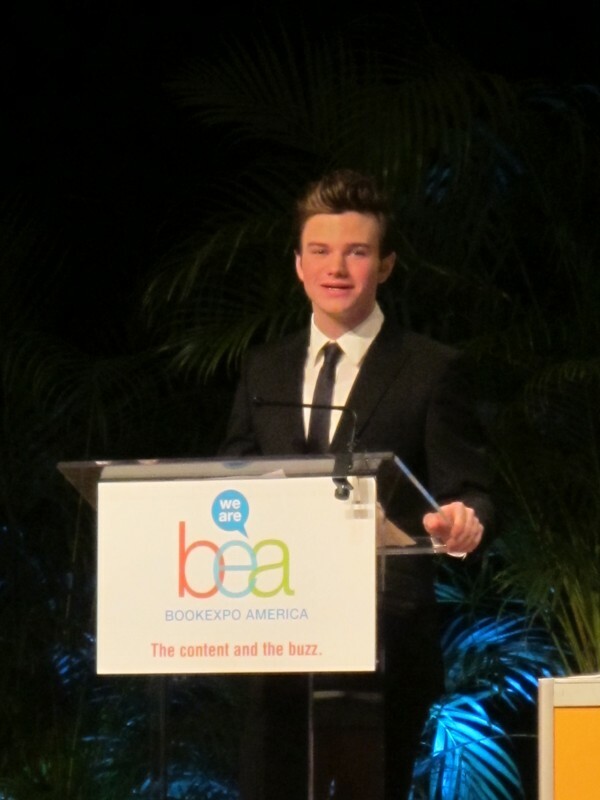 Chris Colfer from Glee was the MC for the event. 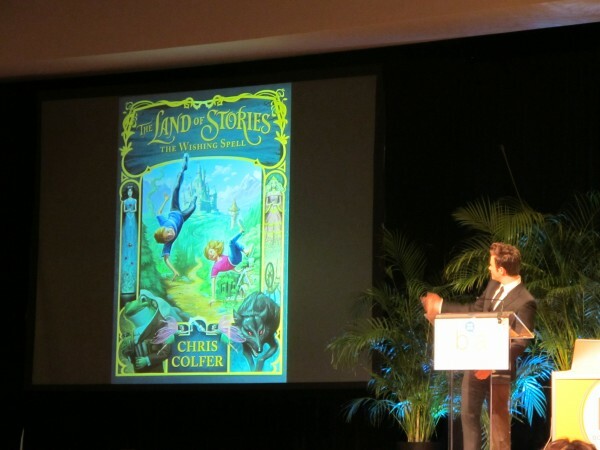 He was wonderfully funny and very touching as he talked about his own goal, from the age of 10 to have his book published. 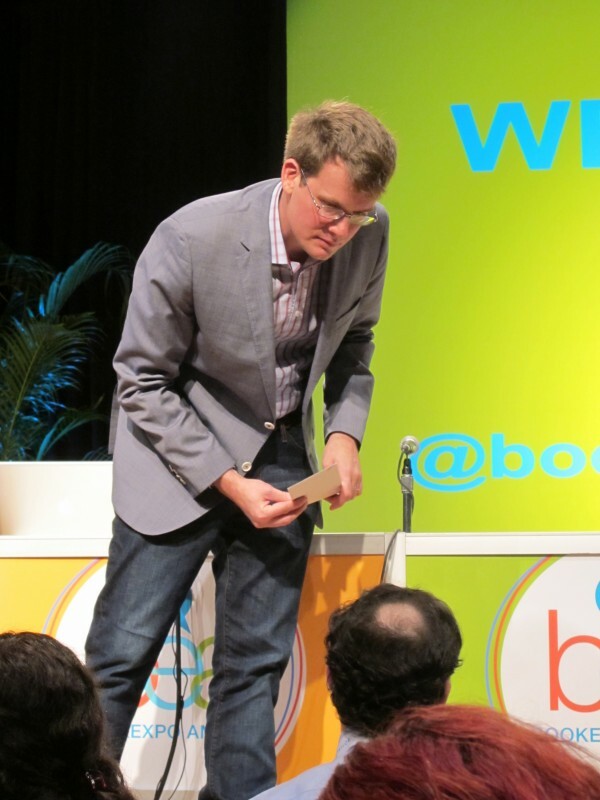 In my opinion he seemed very genuine. 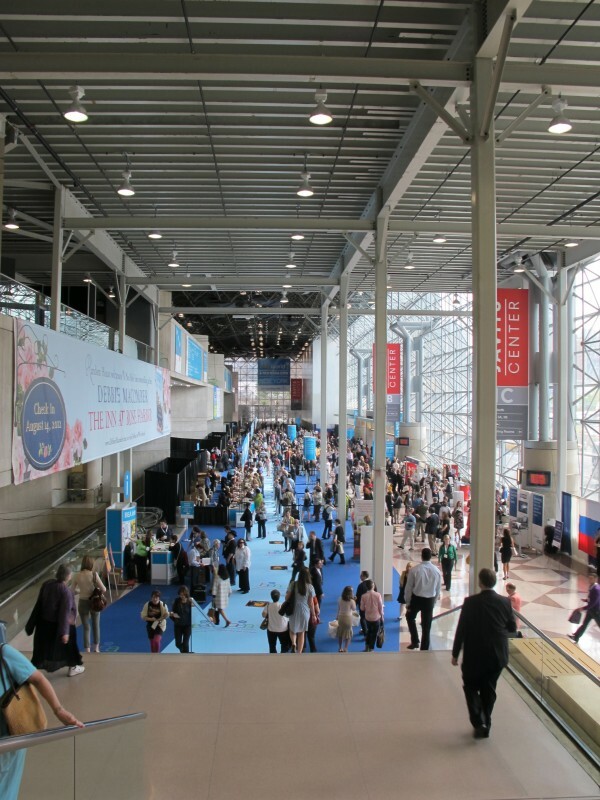 Back on the main floor I got Tom Angleberger’s autograph for my boys…they were thrilled! 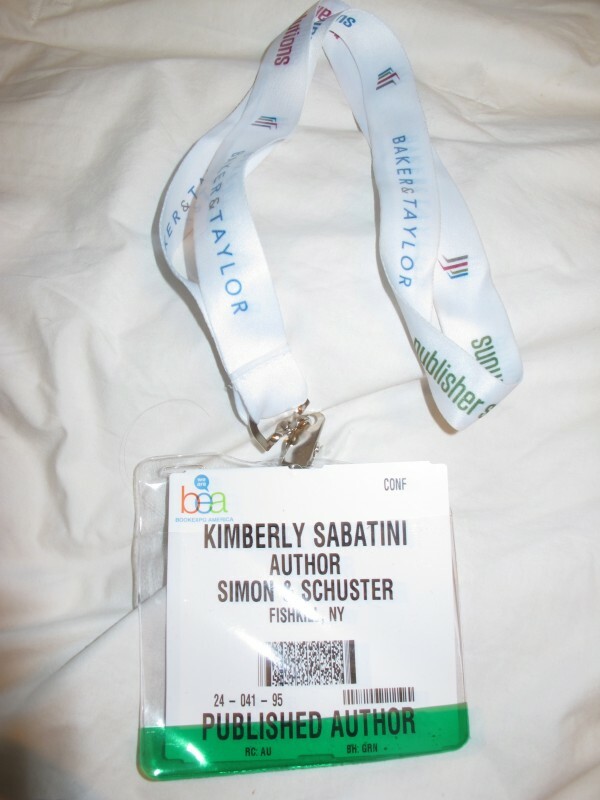 Heading over to my favorite place…Simon & Schuster!!!! 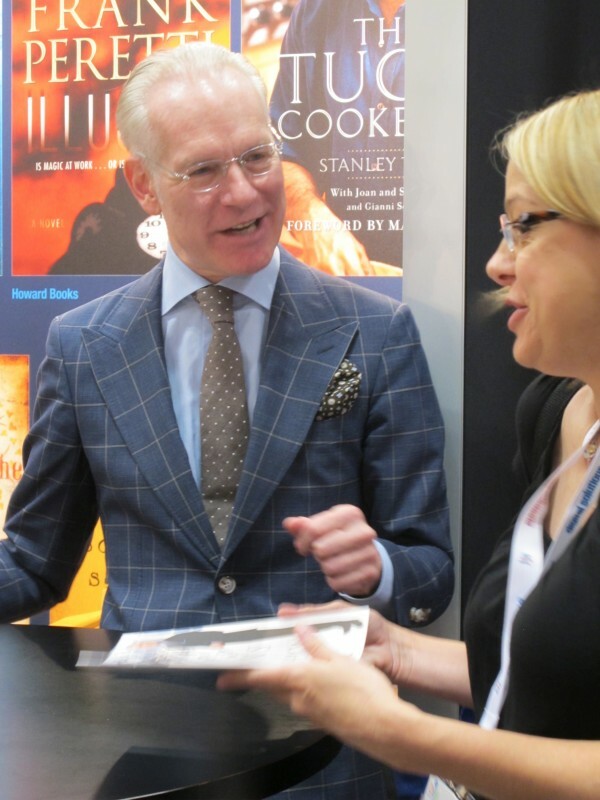 And look who I found on the way…Tim Gunn. He is Fabulous! 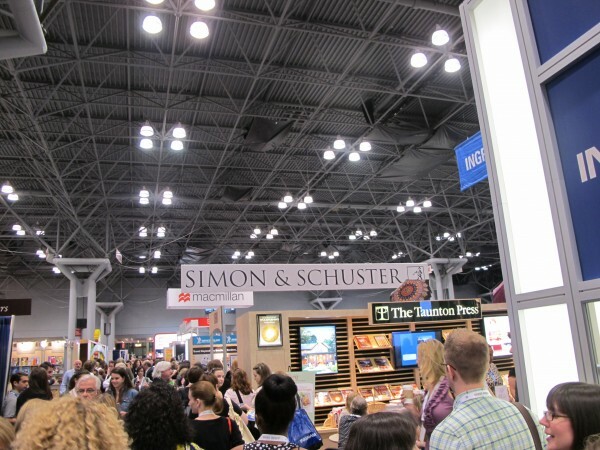 Simon & Schuster was crazy busy!!!! 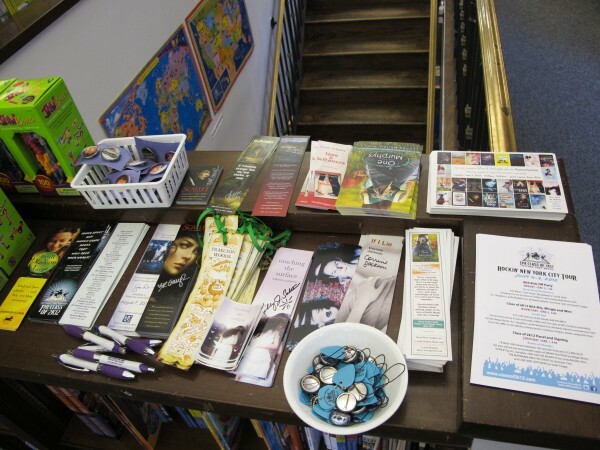 I think I can see someone grabbing one of my bookmarks LOL! 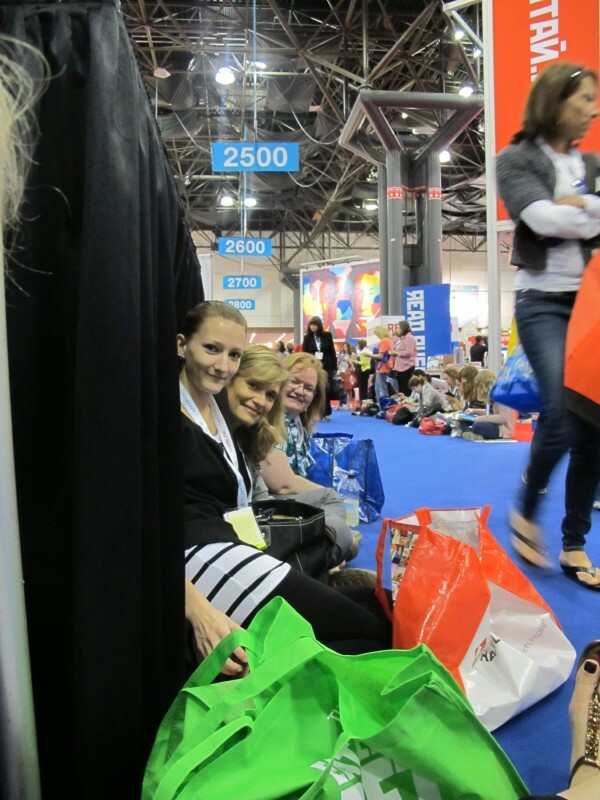 And when you make friends on line…you might just get dubbed the Fabulous Five by the line monitors LOL! 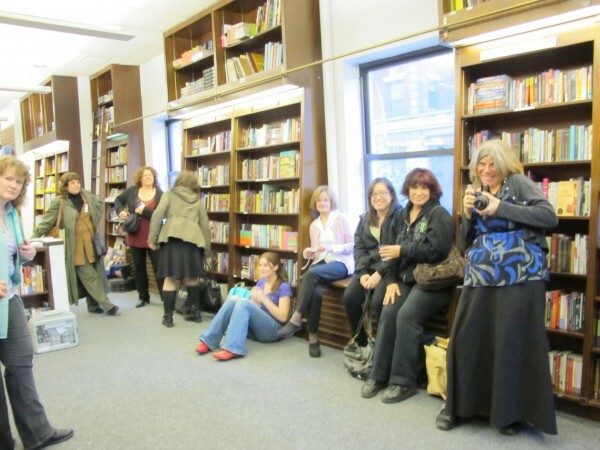 Don’t forget to check out Terri’s blog Read & Riot. 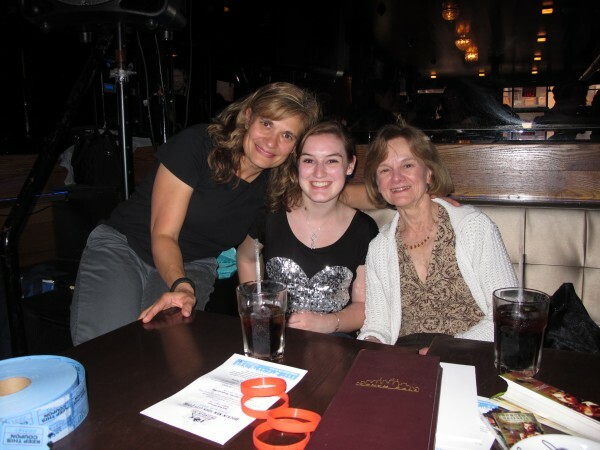 And a Happy Birthday to Terri’s mom, Irene–she’ll be celebrating on Saturday with my brand new 7 year old. Cha, Cha, Cha Irene!!! The front of the line for the DARK DAYS TOUR had been sitting w-a-y u-p t-h-e-r-e since 10 am so I won’t complain LOL! 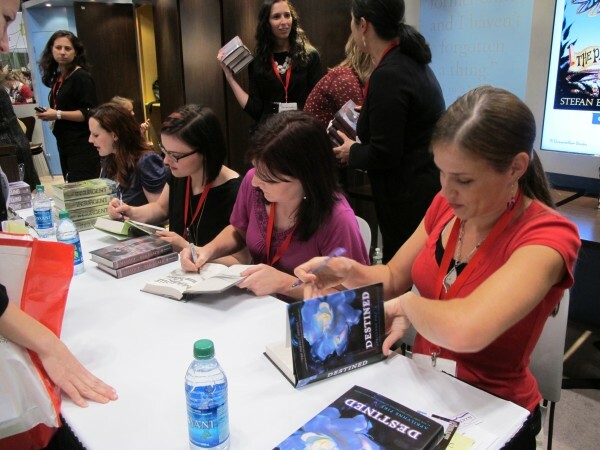 Apocalypsie Elizabeth Norris signing UNRAVELING, Veronica Roth signing INSURGENT, Bethany Griffin signing MASQUE OF THE RED DEATH and Aprilynne Pike signing DESTINED. 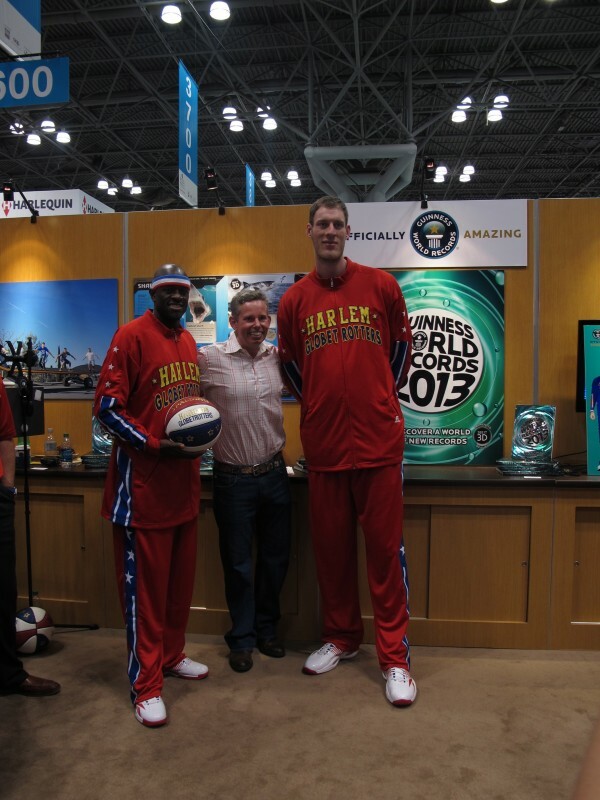 And a very TALL Harlem Globetrotter LOL! 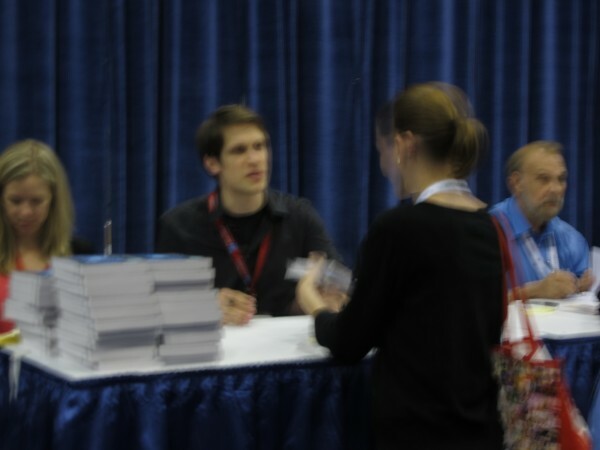 Sorry it’s blurry–Dan Krokos signing Lisa’s copy of FALSE MEMORY. My last Class of 2k12 event was Mix, Mingle and Win! 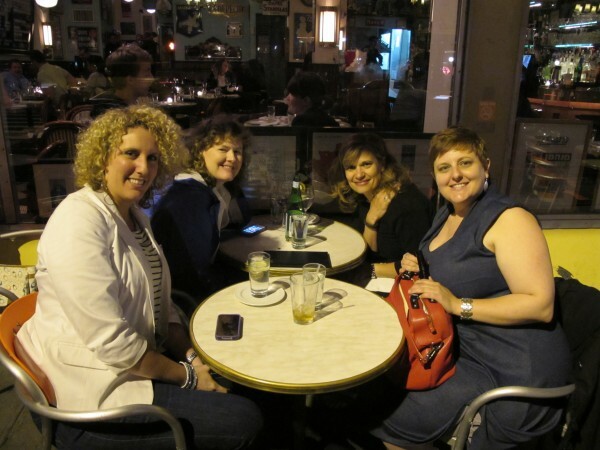 So I mixed and mingled with two of my new favorite people Kim an Judy…making me the winner. 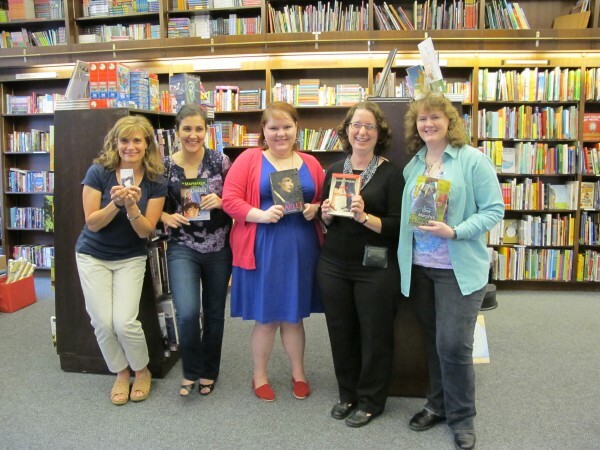 The Class of 2k12 Sarah Tregay, A.C. Gaughen, Megan Bostic, Lynda Mullaly Hunt, Sarvenaz Tash and me. 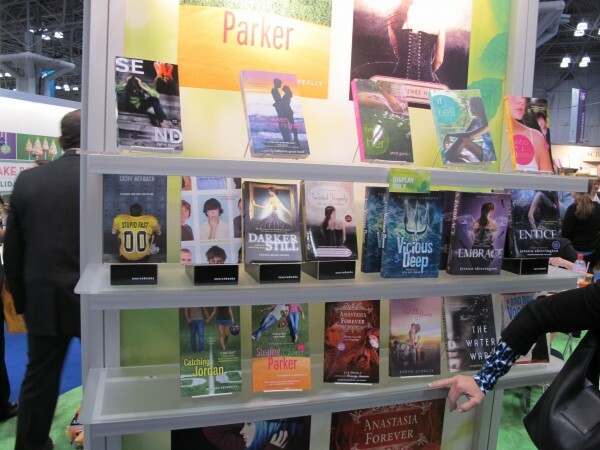 One of my favorite BEA pics! 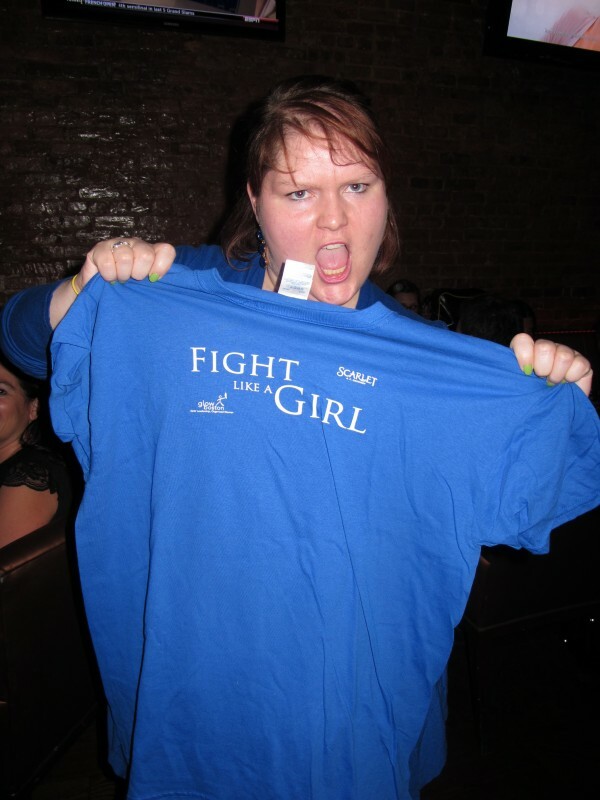 A.C. Gaughen and her new FIGHT LIKE A GIRL T-shirts for a GLOW fundraiser. Great cause–I am so getting one! If you’re interested in buying one and supporting GLOW–leave your contact info in the comments and I’ll make sure that A. C. gets it. 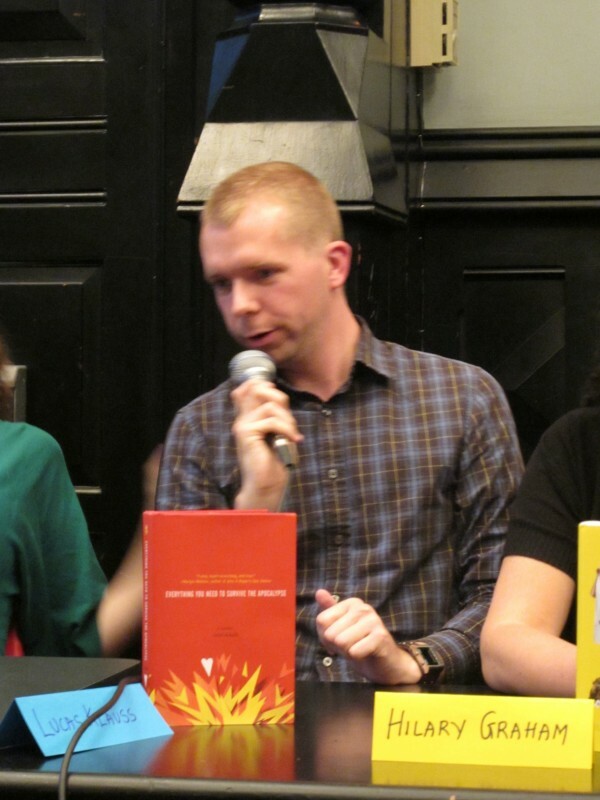 And what you’ve all been waiting for…the books! 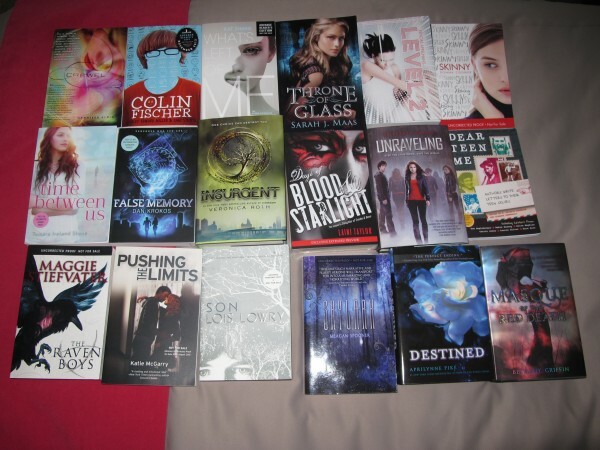 Not including all the MG books I got for the boys…here was my amazing YA haul. 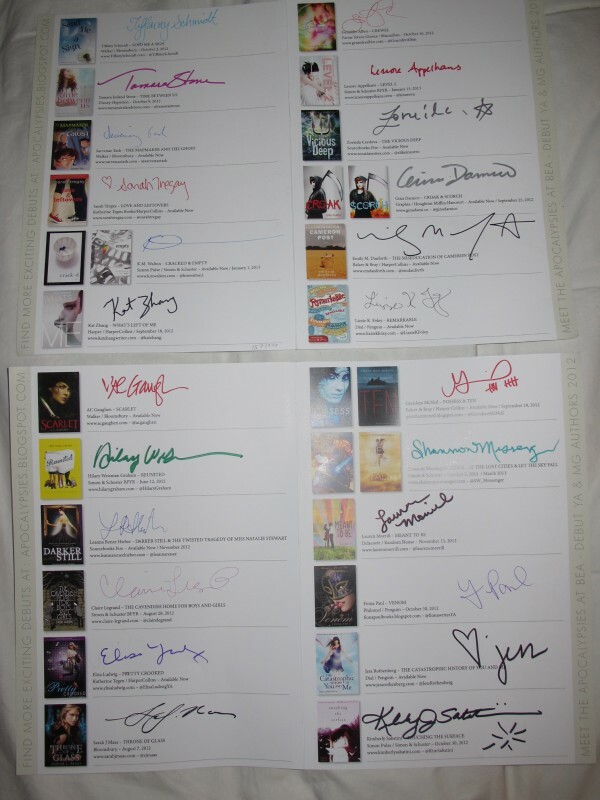 Keep tabs on my blog because a lot of these will be up for grabs after I read them!!!! 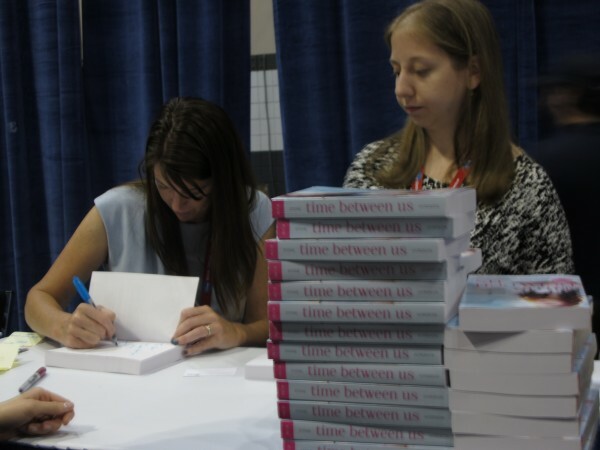 Contests galore, but I can assure you that you will not be getting my 11yo’s signed copy of INSURGENT or my signed ARC of Lois Lowry’s book SON. 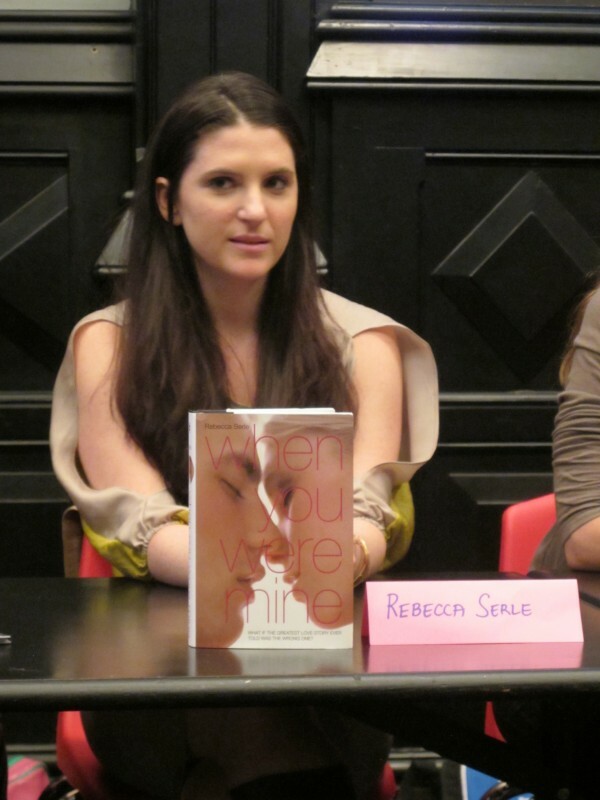 <3 But that means my question must be…which book would you be desperate for me to have as a prize in a contest???? *FYI DAYS OF BLOOD AND STARLIGHT is only a sample–not the full ARC, but it comes with the full paperback of DAUGHTER OF SMOKE AND BONE. 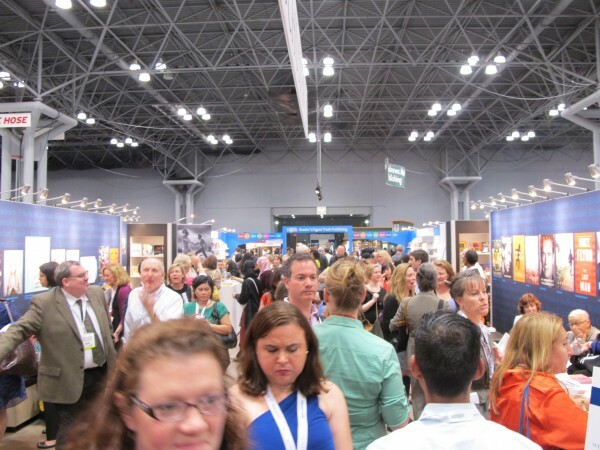 Also–if you’ve blogged about your BEA experience–add your link so I can check it out. I had a fabulous time and I hope you did too. And if you couldn’t be there, I hope this helped you feel like you were. Thanks for stopping by.